After replacing a throttle body of late models of GM vehicle, a vehicle computer must relearn the idle position. Late models of GM vehicles equip an electronic throttle body (ETB), which eliminates the need for an idle air control valve and a physical cable between the throttle plate and accelerator pedal. The ETB is fully controlled by the vehicle computer, and it adjusts the opening to maintain the idle speed with specification and respond to accelerator pedal movement. In the event of losing the communication between the ETB and the computer such as a dead battery, cleaning or replacing an ETB, etc., the computer must relearn the new throttle position. Here is GM idle relearn procedure. Perform the following relearn procedure for the on-board computer to adjust to the new idle position on the electronic throttle body. 1) Start and run the engine in PARK for 3 minutes. 2) Turn the engine OFF for a minimum of 60 seconds. 3) Start the engine and run for another 3 minutes. 4) Engine should idle normally after 3 minutes. After having performed the relearn procedure and the engine still does not run within normal idle speed, it will be necessary to drive the vehicle above 45 mph (70 Km/h) including several decelerations. Also ensure that after driving the vehicle, let the engine idle for a minimum of 5 minutes. If the engine has returned to normal idle speed, the relearn procedure is completed. If the idle speed is still erratic or incorrect, restart idle relearn procedure. Please note that you need to clear the diagnostic trouble codes (DTCs) before performing the procedure. If you don’t have a scan tool, you can clear by disconnecting a negative battery cable for around 15 minutes. Many General Motors vehicle owners have experienced the “Engine Power is Reduced” message on the dashboard. When the computer detects the problem, it puts the vehicle into the limp mode for safety. It literally reduces the engine power and disables the traction and stability controls. There are many possible causes for the message to show up. A dirty and sticky throttle plate can be the cause, and a faulty throttle position sensor can be another. You don’t have to panic when you see this message. If the DTCs are set (=check engine light is on) with this message, just scan the computer and get the codes. You may get P0120 through P0124 or manufacturer specific code P1516,P2135, or P2140. All these codes are related to the electronic throttle body. A sticky throttle plate and/or a faulty throttle position sensor are the most common cause of the problem. Keep that in mind, when you see this message, take a look at the throttle plate. If it’s dirty, clean it up and perform the idle relearn procedure, and it may fix the problem. 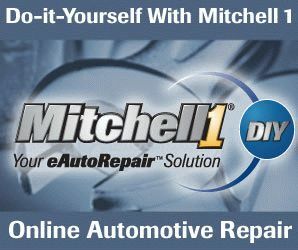 Does my car need Idle Relearn? What is throttle body relearn? How to clean the Throttle Body? This entry was posted in Auto Repair and tagged GM, Throttle Body on April 3, 2019 by admin.